Nutrition has risen up the political agenda in Peru. the form of food distributions but which were ineffective in reducing malnutrition over a decade (1996-2006). The Initiative against Child Under-nutrition or Iniciativa contra la Desnutrición Infantil (IDI)6 was created in 2006 to build political momentum for nutrition during the general election in the same year. 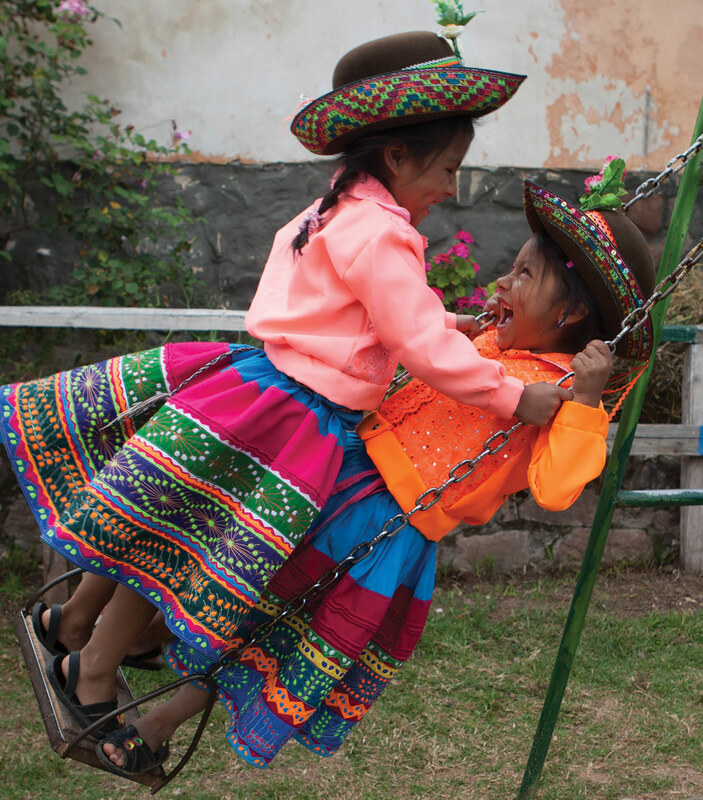 The IDI is a collective effort by agencies concerned with development in Peru and who are actively involved in supporting interventions that address the multiple causes of child malnutrition. The IDI promotes coordinated, multi-sectoral and comprehensive responses by the State. 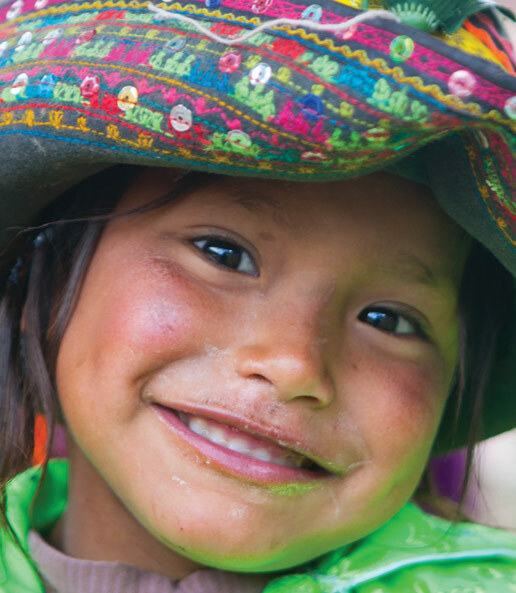 The initiative is recognized as the SUN civil society alliance in Peru and consists of 18 institutions working together to influence public policies and place child nutrition at the centre of the government’s agenda. The IDI provide a forum for publishing and analyzing government efforts in fighting malnutrition and ensuring the accountability of political commitments by elected officials. The IDI stresses that good nutrition in the 1,000 day window of opportunity during pregnancy and the first two years of life is essential for social and economic development and an invaluable investment for the country. The general election of 2006 was an opportunity for a complete change in national authorities. The IDI used the opportunity to influence public policy and place the issue of child malnutrition on the agenda. In July 2004, Peru had approved the National Food Security Strategy, of which one goal was to reduce chronic malnutrition. But the implementation of the strategy was not being driven with enough power by the national government. In the context of leadership change, it was essential to stimulate a change in the commitment of national, regional and local authorities to deal with under-nutrition and make it the linchpin of social programmes to combat poverty. What factors cause childhood malnutrition? What damage is caused by child malnutrition? What is the relationship between nutrition and poverty? How many children are affected by this problem? What can be done to reduce child malnutrition? What strategies have proven results? How can food security policies help to reduce factors associated with malnutrition? What is the policy framework for tackling malnutrition in the country? 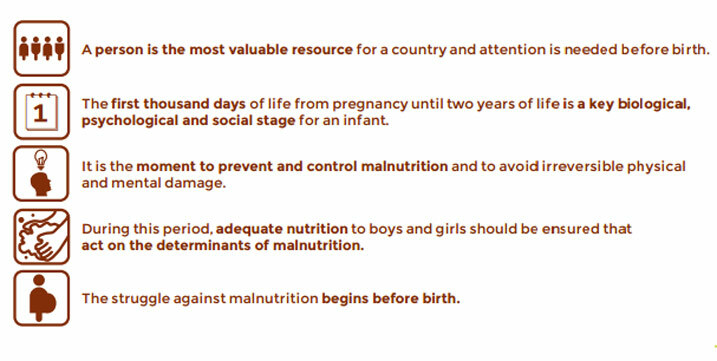 commitment document in which they pledged to reduce, within 5 years, malnutrition in children under 5 years by 5%; a goal that was subsequently met. When the President was elected, he honoured his pledge and endorsed the National Strategy for Combating Poverty and Chronic Child Malnutrition (CRECER) which was placed under the direct responsibility of the President’s Council of Ministers. This strategic action facilitated political coordination between public entities and non-governmental organizations. child malnutrition. It then continued to advocate for implementation of the national CRECER policy with national and sub-national authorities, providing technical support for the development of interventions that had evidence of impact. The President ratifies his commitment to reduce chronic malnutrition by 5% during his term in office, giving full authority to the Council of Ministers (PCM) to fulfill this commitment. The PCM assumes responsibility for the implementation of the National Food Security Strategy. The Multi-sectoral Food Safety Commission (made up of members of various ministries) is re-activated as a technical body responsible for coordinating the actions in each ministry to reduce chronic malnutrition. The President of the Republic undertakes to submit annually to the nation results in the fight against chronic malnutrition. A concerted plan is defined to implement nutritional programmes. The national government initiates the implementation of a programme to improve the management capacity of municipal governments. Local and regional governments provide no less than 30% of their budget to be invested in training in nutrition and hygiene, infrastructure for access to water and basic sanitation, and improving the conditions for sustainable development of rural economies. The Ministry of Finance initiates the implementation of a programme to provide technical assistance and strengthen regional and local governments in the development of public investment projects. Municipal governments establish mechanisms of accountability to the public, civil society and other local and regional organisations, with respect to actions taken to reduce child malnutrition. The national government creates an incentive programme for municipal governments with a more efficient performance in carrying out the activities that contribute to reducing child malnutrition. Adoption of the Multiannual Macroeconomic Framework and Multi-Year Social Framework which established strategic policy priorities for social investment and included essential actions for timely access to good quality services in nutrition, health and education. Implementation of results-based budgeting for the Joint Nutrition, Maternal and Neonatal Health Programme which meant that public spending was directed to effective interventions in a focused and transparent manner. The use of instruments to improve individual and geographic targeting, such as the Household Targeting System that provides information to social programmes on the socioeconomic characteristics of households, so that the poorest can be prioritized and selected as beneficiaries. Membership of the Health Security Insurance by vulnerable populations that are living in poverty and extreme poverty. Approval of the Incentive Plan for Improvement of Municipal Management designed to address inadequacies in the provision of public services and infrastructure, with the aim of contributing to sustainable growth and development of the local economy and encouraging municipalities to reduce chronic child malnutrition. Implementation of Municipal and Health Service strategies and policy development of local government with the aim of promoting healthy behaviours in families to prevent chronic child malnutrition. The formation of the Intergovernmental Committee on Health as a permanent body of health management between the Ministry of Health and the regional governments with the aim of developing components of decentralized management to exercise the powers and functions transferred by the national government. Development of the radio campaign ‘child nutrition’ to provide families in Peru with useful and practical information aimed at improving the quality of nutrition of children under three years of age. 20117. In rural areas, where malnutrition is most severe, the proportion of stunted children declined from 45.7% to 37.0% during the same period. There were, however, still more than 680,000 children under five affected by chronic malnutrition and more than 740,000 children under 6 to 36 months affected by nutritional anaemia. 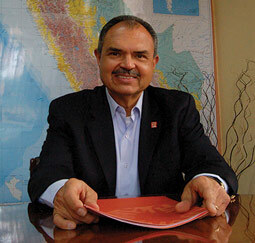 During the 2011 election, the IDI again worked to generate political commitment among the 10 presidential candidates. It successfully persuaded all the candidates to sign a document in which they pledged to reduce chronic child malnutrition and anaemia. When President Ollanta Humala was elected to power, he pledged to reduce chronic malnutrition by 10%, and anaemia by 20% by the year 2016. As a result of this political commitment, the Ministry of Development and Social Inclusion (MIDIS) has been created to develop policies and sectoral efforts aimed at social inclusion and to meeting the goals prioritized by the government. A national ‘INCLUSION FOR GROWTH’ strategy has been approved which provides a general framework for policy development and social inclusion for interventions at the three levels of government (national, regional and local). The priority outcome of the strategy is the reduction of chronic malnutrition and anaemia. Commitment by the regional presidents to reduce child malnutrition and work together with the national government. Approval of guidelines for coordinated inter-sectoral and inter-governmental management aimed at reducing child malnutrition in the context of development policies and social inclusion. Development of regional nutrition goals and increased coverage of effective interventions with the involvement of local authorities and representatives of civil society. 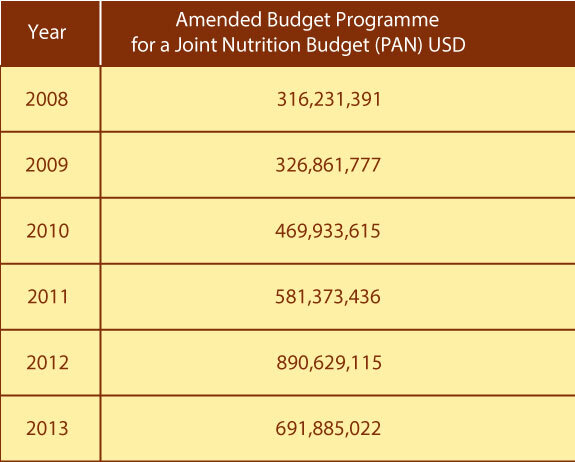 The Programme for a Joint Nutrition Budget (PAN) that has, since 2008, allocated resources for the development of effective interventions in the fight against child malnutrition. Universal micronutrient supplementation to prevent and reduce anaemia and stunting in children aged 0 to 3 years. Creation of the Fund to Stimulate Performance and Achievement of Social Results to promote and implement the national policy and achieve concrete results in improving management processes, coverage of services and budgetary systems linked to early childhood development. Development of guidelines for local authorities on the management of effective interventions to reduce malnutrition in coordination with national, regional government and civil society. Development of the radio campaign ‘papeao and apapachao’ (‘wanting to eat’) to inform and sensitize parents on the importance of early childhood development campaign. IDI continues to hold the government to account on the ‘Statement of Government Actions to Reduce Child Malnutrition’ and continuously monitors government progress on reaching its recommendations. It also continues to work through its various programmes on the dissemination of national policy and provides technical assistance at different levels of decision-making for the management of effective interventions. 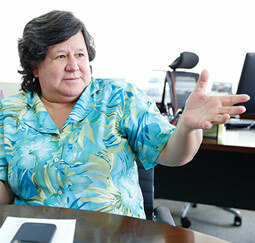 The Government of Peru still faces challenges. Firstly, on how to implement a suitable strategy to reduce gaps and ensure equitable allocation and effective management of resources. Secondly, ensuring effective strategies and adapting them to different socio-economic, cultural and geographical contexts. Thirdly, how to prioritize investments that improve access to water and sanitation for vulnerable populations. Fourthly, how to strengthen systems to monitor implementation and budgetry expenditure. Finally, how to strengthen opportunities for the participation of citizens to promote accountability at all levels. It is critical to set out the evidence on the causes, actions and policy frameworks for improving nutrition in order to persuade presidential candidates to pay attention to the problem of malnutrition. Meetings with representatives of different political parties participating in elections is needed to reinforce the evidence. Advocacy for nutrition has to be maintained over multiple elections to ensure that new political authorities sustain efforts to improve nutrition.